Black Goat Hair Duster: Our Black Goat Hair Duster is made with soft black goat hair. The hair is extremely densely packed, giving the soft hair a fullness that makes it a perfect duster. 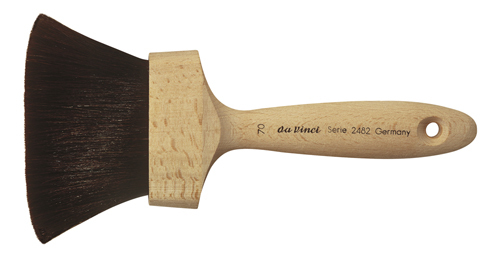 Mini Bench Duster: Conservators just love this little dusting brush. It's made in Germany and comes in two types of hair, a medium stiff horse hair and a very soft goat hair.